Car hire is a popular choice for many people when travelling or holidaying abroad. Hiring a car provides you with the freedom and independence to explore your chosen destination and more importantly, on your own time schedule. Whether your travel is for business or recreation, car hire offers you many added bonuses that other transport options simply do not offer. Car hire is a very popular option with travellers and if you are hoping to hire a car from the airport, city, resort or town you are visiting, ensure you find the best deal. Compare car hire prices with major leading companies. No matter which country you are visiting, you will more often than not be able to hire a car from either the airport or the city, town or resort to which you are visiting. The cost of car hire varies from country to country and there are many factors that determine the price of car hire at any one time. Sadly, many people pay far too much for their car hire or take out the wrong car hire to suit their needs, simply because they fail to familiarise themselves with certain factors that can affect the price. Another reason why people pay too much is they choose the cheapest option available. Yes, we all want to pay the least amount of money possible but sometimes the cheapest option is not the best and can often work out costing more money in the long run. Once again, there are several reasons why this is the case and this simple guide is designed to help you find the best deals on your car hire as well as helping you choose the right car hire for your own personal needs, requirements and budgets. The Internet is saturated with websites offering car hire and it can be a total nightmare looking for the best deals. Hopefully, this guide will help relieve some of the stress involved with looking for car hire and make your search much easier and stress free! One of the most popular places for people to hire a car when they are abroad is from the airport. No matter where you are travelling to in the world, the majority of airports offer the option to rent a car. Most major car hire companies have offices located inside the airport terminals and if they don’t, have some form of presence at the airport. However, if you are wanting to collect your car from the airport, you must remember that some city have more than one airport and it is important you select the right one. Yes, this might sound obvious but I can assure you, people do select the wrong airport! 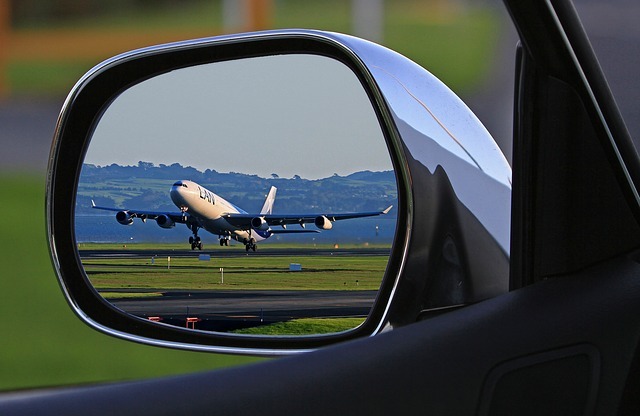 The other thing you need to take into consideration is that some airport car hire offices close at certain times and do not allow you to hire or return a car whilst the office is closed. Many car hire companies have facilities in place such as ‘Drop Boxes’ that do allow you to return the car ‘Out of Hours’ but just ensure you check first before booking. To be honest, most companies will state if they are closed when you are searching but it is something you should check, especially if you have flight that arrives or depart late night or early morning. As well as the airport, there are many car hire offices located in towns, cities and holiday resorts throughout the world. Many people travelling or on holiday choose to hire a car from a location close to where they are staying and this might be in the city, a small town or holiday resort. The reason why people choose to hire cars from these locations rather than at the airport is because they may be travelling on a package deal to which the airport transfer is included and may only want to rent the car for a few days. Another reason is because they want a ‘One way’ car hire deal and may want to collect the car in one city but drop it off at another city or location. Whatever your reason may be or whatever your circumstances, there are a large number of reasons why car hire is a great facility to have available to you. If you are visiting a major city for a couple of days and are only planning to stay in that city, then car hire may not be the best option for you. Most major cities have good public transport connections with the airport and then once are in the city, the public transport generally provides adequate means of transport to get around. Many major cities also offer City Tours or City Passes that allow you unlimited travel on the public transport network, which is the ideal solution for your travel. However, if you are wanting to explore a little further afield or you have landed at an alternative airport a little further away from the city, car hire could well be the most viable option. If you choose to hire a car, there a certain things that you need to know that will help you find a better deal and also be more prepared when you hire your car. The following is not designed to scare you but it is designed to help you understand and avoid the hidden pit falls that may end up costing you money were you not familiar with them. Although car hire does provide many added bonuses, you must not forget that what you are actually hiring is a valuable item and you must take this into account. Car hire is a fantastic facility that is available to you but you must not forget that although you have been issued with a relatively new car (in most cases), you are also liable for that car and any damages that it may incur whilst it is in your possession! Many people forget this fact or just get a little complacent and then wonder why they receive charges on their credit card once they return their car to the car hire company. I do not want to scare you by saying so but I truly believe that this point should be mentioned and in doing so, it will help you save yourself from any unwanted charges! The last thing you want after hiring a car is any unwanted bills and when you hire a car, you should make yourself aware and familiar with all the ‘Terms and Conditions’ and also the car hire companies own policies. Each car hire company has its own ‘Terms and Conditions’ and Policies with regards to what is covered on your policy. This is one area that many people fail to understand when they hire a car and then are shocked when they incur additional charges after returning the car to the car hire company at the end of their trip. Remember: The car is someone else’s property and you should respect that. Failing to respect look after your car and returning it damage means that the car hire company will need to repair it and they will charge you the excess fee! You car read more about car hire excess and how you can cover yourself from these high charges by following the ‘Related Articles’ link at the bottom of this page. The following tips will hopefully shed a little light on what you need to look out for when you hire your car and as a result, will help you save money on your booking and save you incurring any unwanted charges. Everyone’s personal requirements, circumstances and budgets are different and these requirements play a major factor in the price to which you are quoted for your car hire. Before Travel, you should make yourself aware of the driving Laws and Regulations or the country to which you are visiting. These Laws and Regulations should be adhered to and failing to do so will result in it costing you money! Every country has different Laws and Regulations regarding driving and the country you are visiting will probably have different Laws and Regulations to your own native country. Many countries now issue spot fines for minor offences such as speeding, no wearing seat belts, not carrying snow chains and even laws such as not having your lights on in very short tunnels! These minor offences will cost you money and have cost me in the past so be warned, they do happen!! The best way to find the best deals on car hire is to pre-book your car in advance before travel.